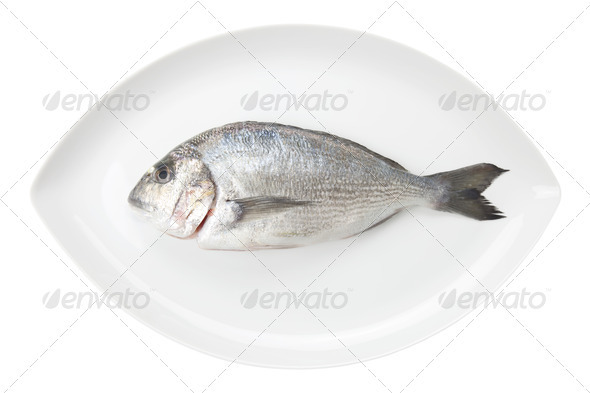 Dorada seafood on a white oval dish isolated on white background. Also known as bream sea fish. Raw food.